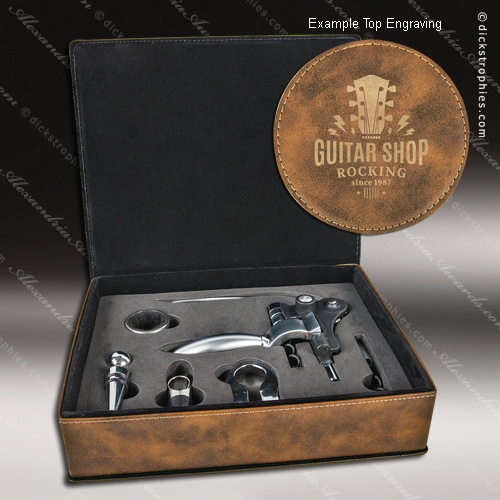 This beautiful wine tool set is made of finely crafted leatherette, a richly textured synthetic material that offers the look and feel of leather at a fraction of the cost, as well as superior durability. 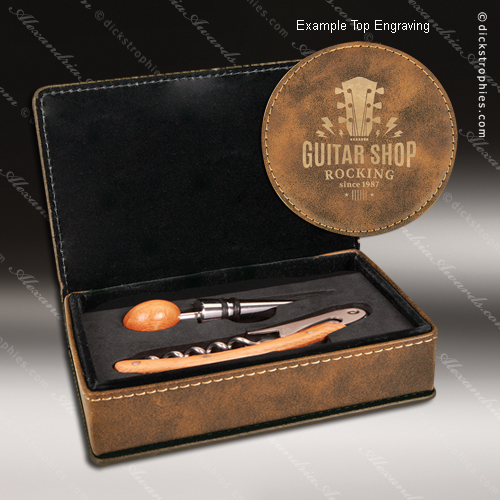 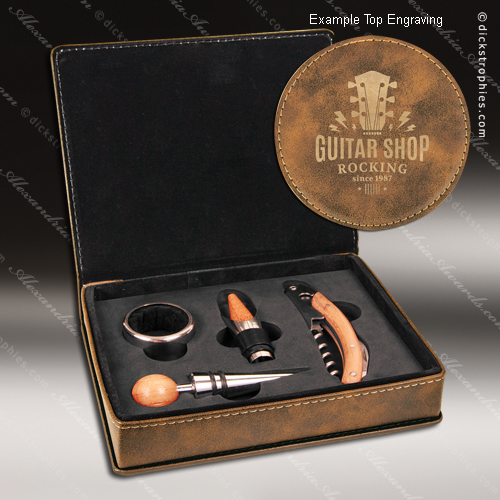 The black velveteen lined box features a magnetic closure and includes a corkscrew, a stopper, and a plastic foil cutter that are held securely in place in black foam. 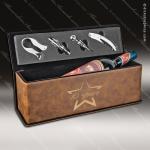 The box can be personalized to a stunning gold contrast with a logo or other graphics to make this handy set a wonderful incentive, promotional item or personalized gift for any wine lover. 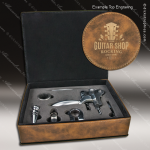 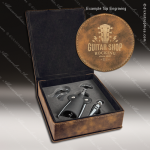 This beautiful wine tool set is made of finely crafted rustic leatherette, a richly textured synthetic material that offers the look and feel of leather at a fraction of the cost, as well as superior durability. 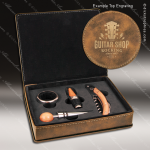 The black velveteen lined box features a magnetic closure and includes a "rabbit style" corkscrew with replacement screw, decanting pourer, stopper, plastic foil cutter, and a drip collar that are held securely in place in black foam. 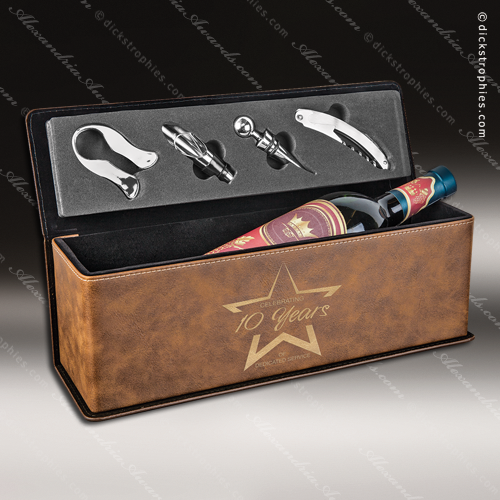 The box can be personalized to a stunning gold contrast with a logo or other graphics to make this handy set a wonderful incentive, promotional item or personalized gift for any wine lover.